iMoney: Compare Credit Cards, Home & Personal Loan in Philippines. Apply now and get approved for higher loan amount on your next application. No collateral required! Avail your first credit card with AUB! The very first credit card that lets you choose exactly how often, when, and how much they want to pay! Plus, annual fee is FREE for LIFE! 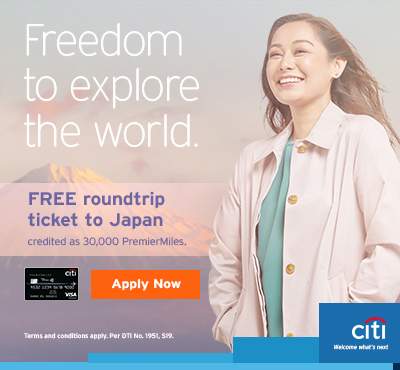 Apply now for a Citi Personal Loan and get approved the next day! Apply for a Cashwagon Cash Loan now and claim your loan proceeds within minutes after approval! Check out the most popular credit cards on iMoney! Every day, hundreds of consumers trust us with their financial decisions. When you use our tools and excellent customer service, it's easy to see why. Whatever financial product you want to find, compare, or apply for, you can do it for free on iMoney. And our credit card experts are here to help, all for free. No need to spend hours in line at the bank any more! Save time and money. Apply for financial products from the comfort of your own home. We've put in the hard work to help you find the best cards, home loans, personal loans, and more with our easy-to-use comparison tools. It's all just a click away.